1.1 What is Field Education? 1.5 How Does Field Education Work? 4.5 You’ve Survived Field Education…Now What? Some of the most important learning that occurs during the completion of your Masters of Social Work program happens outside the classroom. Field education, also called practicum, fieldwork or field experience, is the hands-on training portion of your MSW program. It is a chance for you to test the waters, to make mistakes in a supportive learning environment and find your niche within the diverse array of social work career options. Where will you complete your field education hours? Like concentrations in the MSW program, there are many options, and those options stem from your concentration, or area of focus. Some MSW students spend their practicum days at hospitals or community health agencies. Students interested in school social work may complete their hours at a school or school-community partnership. You may find yourself working for a government agency, such as the department of social services or a correctional facility. The Council on Social Work Education (CSWE) is the accrediting body for all higher education schools of social work in the United States. The goal of the CSWE is to ensure that all students who earn the title of Social Worker have met the same standards of quality for professional practice. The CSWE sets the tone and requirements for field education and all other components of MSW programs. The intent of field education is to connect the theoretical and conceptual contribution of the classroom with the practical world of the practice setting. It is a basic precept of social work education that the two interrelated components of curriculum — classroom and field — are of equal importance within the curriculum, and each contributes to the development of the requisite competencies of professional practice. Field education is systematically designed, supervised, coordinated, and evaluated based on criteria by which students demonstrate the achievement of program competencies (1). Maintaining communication between the university and the field placement site. Evaluating the effectiveness of the field settings. Determining the criteria of qualified field instructors. These guidelines ensure that, regardless of where in the country students are earning their MSW, they are receiving a consistent, high-quality experience in the on-the-job portion of their social work training. Danielle Doskocil holds a master’s degrees in both rehabilitation counseling and clinical social work, with a graduate certificate in addictions and a secondary concentration in social policy. She is a licensed professional counselor in North Carolina. For the last eight years, she has worked as a school substance abuse social worker in an urban school district plagued by low-test scores and high gang involvement. Prior to her current role, she served as an advocate for students with disabilities as a vocational rehabilitation counselor and worked as the lead clinician in a residential dual-diagnosis substance abuse and mental health treatment facility in suburban Orlando, Florida. During her hybrid in-class and online MSW program, Danielle completed her field education experiences in community resource and case management and clinical mental health and worked as a graduate research assistant in the School of Social Work at the University of Central Florida. When she’s not fighting the often uphill battle that is adolescent substance abuse, Danielle is an author, freelance editor, and mom to a very sassy toddler princess. Betsy Voshel is an Associate Clinical Professor of Social Work and Director of Field Instruction at the University of Michigan. She has been a licensed master social worker with membership in the Academy of Certified Social Workers since 1980 and received a post-master’s teaching certificate from the University of Pennsylvania in 2003. 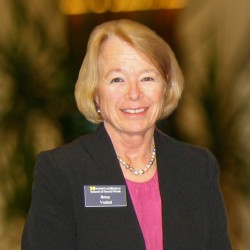 Betsy was the Coordinator of Field Education at Western Michigan University from 2000 to 2004. Prior to that, she was the Clinical Supervisor for a large award-winning outpatient mental health program at the Department of Veterans Affairs Medical Center in Battle Creek, Michigan. She also coordinated the VA’s multi-faceted field instruction program and served as a field instructor for many years. Betsy has been involved with the National Association of Social Workers since 1978 and was named Region II Social Worker of the Year in 2003. She served on the Chapter Ethics Committee, the Michigan Chapter Board of Directors and was a delegate to the NASW Delegate Assembly. As the Field Director at the U-M School of Social Work, Betsy created and developed a student peer facilitator teaching model for the school’s foundation field seminar. She has presented nationally and internationally on developing signature field instruction curriculum, portfolio development, safety training for social workers, and countless workshops focusing on social work ethics. Foundation Year: also known as the generalist year or “first year” of the traditional MSW program. The foundation year is when MSW students develop the basic skills necessary to conduct psychosocial work with individuals, families or groups. Concentration Year: the second year of a traditional MSW program, also known as the advanced year or clinical year (of a clinical social work program); this is when MSW students learn advanced intervention skills, such as diagnosis and treatment planning, crisis intervention, clinical or suicidality assessments, etc. Field Education Department: the sub-section of your university’s school of social work devoted to the identification, matching, overseeing and credentialing of field placement sites at which students may complete their field education experience. Field Agency: your field education site or placement. This is the location where you will conduct your supervised field education practice or practicum. Field Placement Coordinator: sometimes known as the school of social work’s director of field education, this is a member of the university faculty who manages and oversees field placement site selection and qualification, consults with field instructors, makes site visits to ensure student learning occurs according to university and CSWE standards. This person is available to both students and field instructors throughout the learning process. Field Agency: your field education site or placement, the location where you will conduct your supervised field education practice. In most cases, the emphasis of this agency should be placed on social work practice and related activities. Field Instructor: the on-site professional who meets CSWE and your school’s required credentials. This individual also provides on-site supervision, instruction, mentoring and evaluation of the MSW student’s learning. Field Education Seminar: a regularly scheduled class meeting of students from a variety of field education sites with a member of your university’s faculty to process and integrate theoretical concepts taught in the classroom and students’ experiences during on-site learning. How Does Field Education Work? You will complete your field education experience concurrently with your classes. The exact schedule will vary based on your educational plan (full-time or part-time), your university’s course schedule, and your agency’s hours of operation. Most schools of social work arrange class schedules so that students will have “classroom days” and “field days.” The number of days you spend at your site will vary between your foundation and concentration years. The CSWE currently requires MSW students to complete a minimum of 900 hours of field education during their graduate school career. Each university varies in how they split these hours up. For many programs, students complete between 300-450 hours during the first/generalist year of their MSW and reserve the remaining hours for the clinical or concentration year. Some schools require that you devote at least one eight-hour day per week to being at your field education site. While most states follow the CSWE guidelines for licensure, it’s important to note that some states may require students to complete more than 900 hours during their MSW program in order to be eligible for licensure. For that reason, some schools of social work may require that students complete more than 900 hours in order to ensure that students are licensure-eligible. The first year of your MSW program, commonly referred to as your foundation year or generalist year, is where you will learn the core competencies of social work practice. The foundation year of Field Education mirrors that learning in terms of its expectations (2). This includes skills such as utilizing the National Association of Social Work Code of Ethics when making decisions with and for your clients, demonstrating cultural competency when working with diverse populations, and utilizing basic counseling schools to work with individuals, families, groups and communities. Don’t be alarmed if this sounds intimidating. You’ll be learning all about ethics, diversity and counseling in the social work classes you take concurrently with your field education experience. You’ll also have a roster of supporters, both at your field site and back at school, to help you along the way. In a traditional full-time MSW program, your foundation year field experience begins the same semester as your class work, though perhaps not the very first day or even the first week. Your university will provide you with a schedule of when you’re expected to report to your field site and for how long. The number of hours varies by school so that students are not only meeting CSWE’s requirements, but also the state’s required number of hours for students who wish to pursue licensure. You’re probably wondering where these field education sites are located. These are predominantly agencies whose focus is social work (department of social services, area mental health organizations, substance abuse treatment centers) or larger organizations who host departments of social workers (hospitals, schools). Like most aspects of social work education, there’s a lot of variety to the “where.” Community plays a large role in this aspect of your MSW program. While some communities offer a variety of community-based social service programs, some focus their revenues on funding government programs such as the Department of Children and Families. And since social workers meet clients where they are both physically and emotionally, areas with higher Latino populations will have more services geared to Spanish speakers while other communities may have larger than average senior populations and thus have more opportunities for rehabilitative care and nursing home settings. It’s important to keep in mind as you’re choosing your MSW program. If you know what kind of agency you’d like to work in, be sure it’s on your prospective school’s list of approved field education sites. Speaking of approved sites, this is another important thing to keep in mind: not all social work agencies are approved field education sites. Your university works closely with agencies in the community to ensure that those agencies are qualified places of learning. This includes having a qualified staff member to serve as your field instructor and providing those personnel with training for this role. Some schools of social work assign students to sites based on a variety of factors, of which personal interest of the student may only be one. Agency need and availability of qualified staff, experiences that previous students have had at those sites, and schedule matching are some of the other factors involved. Some schools allow MSW students to choose from a variety of pre-approved field education sites. Others assign students with their input, but others may assign without student input. Some schools allow employed students to utilize their work site for their field site; others do not. Therefore, if choice is important to you, you’ll want to research this aspect of your prospective school’s policies. You may be feeling overwhelmed at the idea of this great unknown that is field education. However, you should know now that nearly every student who has come before you felt the same way, and for those who didn’t, they probably weren’t thinking hard enough! You need not worry, as there will be a variety of experienced professionals available to guide you through this process. Keep that support in mind when anxiety strikes, and don’t be afraid to ask for help if you need it. Do what you can to prepare ahead of time. Reading this guide is a good start. You should also familiarize yourself with your school’s Field Education Handbook (many are available online) as well as the NASW Code of Ethics, your field site’s employee or field education handbook, and your state’s rules and laws for social workers. For example, you’ll want to know the procedures you must follow in cases of abuse or neglect of a minor, older adult, or person with special needs. Much of this information is available through your school of social work’s website, your state chapter of NASW, and the agency you’ll be serving. If you can’t find it, ask! Speaking of being prepared, get organized! There’s a lot to keep track of with field education. Not only will you keep records of your client contact hours, your hours on site, your meetings with supervisors, etc., but you’ll also need to maintain professional documentation in accordance with your agency’s policies and your code of ethics. That’s a lot of paperwork, so make a plan for keeping track of it. If you’re not typically an organized person, you’ll want to learn this skill before you get too far into your semester. You’re a student — you’re not supposed to know everything. Field instructors are provided because there is an expectation that students are facing a learning curve. Enter your foundation year with humility and questions — the more the merrier. In field education, the only dumb questions are the ones you don’t ask, especially if the situation leads to problems for your clients or yourself. Seek supervision early and often. If your gut tells you something’s not right, you’re not sure how to handle a situation or you’re feeling overwhelmed, talk about it. Social work professionals agree to be field instructors because they want to help shape the newest members of our field. Moreover, they’ve been in your shoes. Those niggling doubts you have aren’t signs that you’re stupid or incompetent; they’re normal for anybody learning to think about human behavior in a completely new way. Maintain healthy boundaries. Your field education site is a classroom, but at the same time it’s not. It’s a place of business where people undergo change and healing. While it’s okay to shoot the breeze with your peers, make plans to socialize or act laid back in a normal classroom, your field education site is not that sort of place. Maintain professional boundaries with your colleagues and clients at your field site. You never know when a job opportunity might come up. You don’t want the administrator doing the hiring to think you’re a keg-stand fanatic who regularly comes to work hung-over. Let your field site actions demonstrate that you take your work seriously. Your social work career starts now! In addition to learning the basics of how to be a social worker, your foundation year teaches you a lot about who you are as a professional. Some of what you learn about yourself on the job might surprise you. If you’re into journaling, keep one. Process your feelings with your field instructor, faculty adviser or field seminar colleagues. And remember: don’t fight those instincts. One of the best things about social work is that there really is a home for every kind of worker. Foundation year is about figuring out what type of home you want. That way, when it comes time to choose your specialization or your concentration year field experience, you have a solid idea of where in the world of social work you want to live. Once you’ve demonstrated a mastery of basic social work skills, you’ll then begin to identify your niche in the diverse field of social work practice. For your second year of the MSW program, you’ll most likely be asked to choose an area of concentration, such as geriatrics, substance abuse, clinical mental health or social policy. With your specialization in mind, you and your school’s office of field education will work together to identify your concentration year field placement. As an advanced MSW student, you’ll be given the opportunity to dig deeper with clients, and you’ll be given slightly more independence to conduct your work. That’s because you’re no longer just a MSW student, but an emerging social work professional. You’ve learned the basics of counseling and theories, experimented with skills and techniques for working with individuals, groups and families, and have demonstrated this knowledge at your foundation year field placement site. Now it’s time to take that knowledge and apply it to your chosen area of concentration and to fine-tune these skills as they apply to specific subgroups of the population. For example, running a group for adult children coping with a loved one’s recent Alzheimer’s diagnosis differs from running a group for young children who have lost a parent to cancer. Even though both groups are experiencing similar themes, you may take a different theoretical approach, and you will definitely employ different techniques and activities with young children than you would with middle-aged adults. Like the foundation year, your field placement will most likely be in a social service agency or a social work department within a larger human services organization, such as a hospital, school, government agency or rehabilitation facility. Though the agency may be similar (or, in rare cases, the same) as your first year field site, the work will be different, and you can expect to put in more hours than you did last year — as many as needed to meet the 900 hours CSWE requires (or possibly more). This will likely include at least two full-time (eight-hour) days. If you’re offered a job before your concentration year begins, you may find your university is more lenient with allowing you to use this site as your field education placement than in your foundation year. Ultimately, this is at the discretion of your school of social work, so talk to them before accepting a job! How well does their format match your practice preferences? You’ve learned a lot about the kind of work you’ll be doing as a social worker over the last year. What are your likes and dislikes in terms of practice format? Are you a firm believer in group counseling, or does the sound of that intimidate you? Do you like the structure and pace of a hospital setting, or is something more free-form more your speed? Do you want to challenge your own beliefs this year or settle into the framework you know fits your personality? Make sure the site you choose fits your learning goals. If they don’t interview you, ask to interview them! Some agencies or schools require that you complete an interview with your potential field placement site. This is a great opportunity for you to get to know the agency and your prospective colleagues! So, if they don’t ask to interview you, ask if you can interview them. See if the personalities with mesh with yours. Get a sense for how you feel in their building. Is this a good learning environment for you? What does the staff have to offer you in terms of learning and mentoring? Consider how the site will influence your coursework. You may be assigned to complete a substantial research project as part of your coursework during the second year of your MSW program (sometimes called a thesis.). If your second year includes any policy coursework, you can also expect to be asked to think about how social policy impacts the client populations you serve. As you’re considering field site options, think about how you may be able to use your field site in your research, or whether the agency you’re considering is invested in local, state or federal policy. Remember that with field education, unlike a job, you are paying for a learning experience. Though you may luck out and find a field site that offers students a stipend or other compensation, at the end of the day, field education is a class. Be as certain as you can that you are getting what you are paying for. Even if you’re sure you know the perfect field placement site for you, take the time to explore more than one option. Not only do you have the skills necessary to identify what will make a good fit for you as a second year student, but there are also more opportunities for you to connect with a potential employer, even if you don’t choose them for a practicum site. One of the ultimate goals of your MSW program is to help you start your career, and obviously, that includes finding a job after you graduate! Let them know you are interested, should an opportunity arise. There may not be a job right away, but it’s good for your colleagues in human resources, hiring or recruitment to be able to put a face with your name. Make sure they have a copy of your resume and cover letter, too. Make friends in high places. Get to know the management of your organization, if they’re approachable. This is especially important when you work in a host environment such as a school or a hospital, where the people doing the hiring are not necessarily other social workers. Network wherever you can. Join committees that afford you networking opportunities, both within your agency itself and the larger community. Attend local conferences, particularly if you can convince your field education site to pay for it! Volunteer to man your agency’s information table at a community outreach event and get to know the folks at neighboring tables. Not only are these great opportunities to meet prospective employers, but they make great resume lines, too. Ask for letters of recommendation. Not only can your field instructor provide one, but so too can members of agency management or other professionals with whom you collaborate. Remember to ask if you can use them as a reference on job applications. You can also request a reference from your field instructor and other mentors you meet during your foundation year. Your concentration year is the bridge between student and professional, and field education is paramount to the learning you will do. It’s the last ride around the block before removing your training wheels. Choose your placement wisely, and make the most of every day on site! Field placement is like being a teenager: you look like a grownup, sometimes act like a grownup (more on that below), but you’re not quite ready for independence. Adolescence is a confusing, conflicting time. Field placement can be that way, too. It’s not the same as being a professional social worker, but you’re not exactly playing pretend either. Here are some Dos and Don’ts for wading through these murky waters. Look the part. If you go to your field site looking like a college kid, that’s likely how you’ll be treated. This is especially important for setting boundaries with clients. Demonstrate a desire to learn. If you act like you know everything already, people are less likely to try and teach you. Your instincts may tell you to “fake-it-’til-you-make-it,” but humility and an eagerness to learn will open opportunities for growth. Maintain healthy boundaries. This is important with both clients and coworkers. Bite off more than you can chew. Part of developing your identity as a social worker means exploring all the learning avenues presented, but don’t take on too much. You have to balance your academic requirements with self-care, family and other competing obligations. Making time for life balance is an important skill to learn now, rather than after you’ve taken on the responsibilities of a full-time professional. Fight your instincts when something feels off. If you feel a conflict brewing, say something. If you’re concerned about meeting a learning need, process it. Trust your gut, whether you’re talking about an interpersonal conflict or a professional one. Hesitate to ask for help if you need it. There is no shame in seeking supervision early and often. The CSWE framework establishes multiple sources of supervision for a reason. If you feel like you need to consult multiple sources, do so, provided you do so within the bounds of confidentiality established by your university and field site. You should have received a copy of the NASW Code of Ethics from your faculty adviser or another resource provided by your university prior to beginning your field placement. Familiarize yourself with it before you report for your first day of practicum. Go to your first field seminar or meet with your field instructor prepared to ask clarifying questions. Document. Document. Document. Your field site should have policies and procedures in place for you to document your work with clients. You can also make notes for yourself regarding supervisory sessions, your field seminar, case staffings, etc. If you’re called on the carpet about something that happened six months ago, it’s unlikely you’ll remember all the details without notes to jog your memory. Consider investing in malpractice insurance before you begin field placement. Some universities cover student malpractice as part of the cost of tuition. Others may require you to purchase malpractice insurance independently. Regardless of how you get it, insuring your professional practice is a smart thing to do. Some companies even offer reduced rates for MSW students. Join NASW. Like the malpractice insurance companies, the National Association of Social Workers offers special membership rates to students (4). Among the wealth of benefits provided to members is the opportunity to consult with experts when dealing with an ethical dilemma or if you’re ever in need of legal consult (5). Your field instructors are VIPs in your MSW education. Their evaluations may follow you as you pursue licensure by your state, and they’re likely to be important references for your first few job applications post-graduation. If you’re lucky, they may even be among the first to offer you a job as a professional social worker! Approach them as their student. In many cases, your MSW field coordinator handpicked these social workers to supervise you. They have been deemed excellent sources of social work learning. Treat them as you would any member of your social work faculty. Respect their time. A lot of field instructors agree to take on practicum students in addition to their existing responsibilities without changes in pay or job duties. Respect their time by being on time for appointments, scheduling meetings in advance and always asking if they have time to talk. You’re more likely to get their full attention if they’re not preoccupied with their own clients, other meetings, or being interrupted during a rare lunch break. Address concerns when they happen, rather than after they spiral. Schedule a regular supervision meeting and be consistent in your attendance. Feel like you’re not getting the supervision you need? Mention it when you feel it. If you find yourself in a situation where you feel uncomfortable addressing a problem with your field instructor directly, take it to your faculty adviser, field seminar instructor or other designated faculty member before it festers. Every road has bumps, even those paved with the best of intentions. These can be minor miscommunication about your hours, or major SNAFUs, such as your agency assigning you to serve as the office secretary rather than with clients. As a student, you may feel powerless to address on-the-job problems…but you’re not. In many cases, your university will provide you with a handbook (or perhaps something less formal) for field education that outlines your goals, rights and responsibilities. Your field instructor will also lay out expectations at your site, agency rules and regulations, and you may even sign a learning contract stipulating each party’s duties. Even with all these safeguards in place, problems inevitably arise in every workplace. You may have a personality conflict with a colleague or your field instructor. Agency changes or competing responsibilities may lead to oversights. If you can address concerns with your field instructor directly, that’s usually the best way to maintain a positive relationship. However, sometimes that’s not easy, or you may not know how to go about it. That’s why your university provides a variety of other professionals to provide support. These include your field seminar instructor, faculty adviser or the school’s director of field education. Your university has procedures for when students have grievances at the field site. If you’re not familiar with these procedures, ask or consult your school’s aforementioned field education handbook. Approach the situation as someone looking for a solution, rather than someone who simply sees a problem for other people to solve. At the end of the day, everyone’s goal is the same: for you to get the most out of your field education experience. You’ve Survived Field Education…Now What? As you near graduation, there will be loose ends to tie, and field education is no exception. Here are some steps to take as you near the finish line. Prepare your clients for termination. You’ll receive a lot of guidance about termination during your coursework, but it’s something to process with your field instructor, too. Your agency will need a plan for your clients after you finish your hours. Give yourself, and the people you are serving, several weeks to prepare. Make sure the work you leave behind makes sense. Don’t let the end-of-semester stress make you sloppy. Your clinical notes, treatment plans and other paperwork will need to be accessible and sensible to the person taking over your cases. Be sure everything is organized and up-to-date. Give your field instructor plenty of time to do their end-tying. In addition to your evaluation, you may need to request letters of recommendation, references or additional paperwork for your licensure. Don’t plan to give this pile to your field instructor a couple days before it’s due. Remember, a lack of planning on your part does not constitute an emergency on theirs. Be grateful and gracious. You’ve spent hundreds of hours at your field site. Take a serious moment to thank your supervisors and colleagues for the effort they have put into your training. Solidify those relationships you may need for the future. Even if you’re not leaving, take time to terminate with your field instructor. Even if you’re working at the same agency, your relationships will change when you graduate. You’re a professional social worker now, not a practicum student. Communicate with your team about how that will change your expectations and theirs. Free to access with NASW membership, this is a great research tool for students who will utilize journal articles for papers and research projects throughout their graduate program. A great resource for prospective social work students. It even includes an informal quiz to measure what kind of social worker you’ll be. Government resource for mental health practitioners. Includes free TIP guides and other resources related to specific areas of practice. An online social media community for social workers. Get support and “meet” other social workers in your practice area. A media roundup related to social work. Information and editorials on social workers as portrayed in movies, books and other media. Advocacy for accurate portrayal of our practice. Special thanks to Elizabeth “Betsy” Voshel at the University of Michigan for sharing her insights in field placement and tips for prospective social work students preparing to enter the field. And to MSW students, educators and professional social workers who strive to uphold our Code of Ethics and empower and advocate on behalf of clients and our profession every day.